With over 3,000 members, including CEOs, entrepreneurs and business owners, .CEO is proud to showcase the achievements of its growing global community. 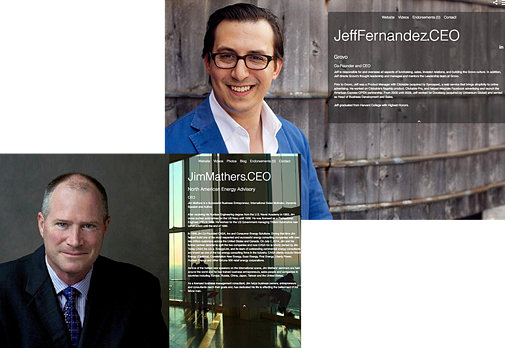 Meet the authors, social influencers, serial entrepreneurs, most awarded, leaders of organizations and philanthropists of .CEO. Each Member has their own story and identity which we are proud to share. "It's more than a domain. It's a social network"
"It is another component in the overall brand management piece"
"I think much more than LinkedIn, I can make it my truly personal "Résumé" - and that is pretty cool"